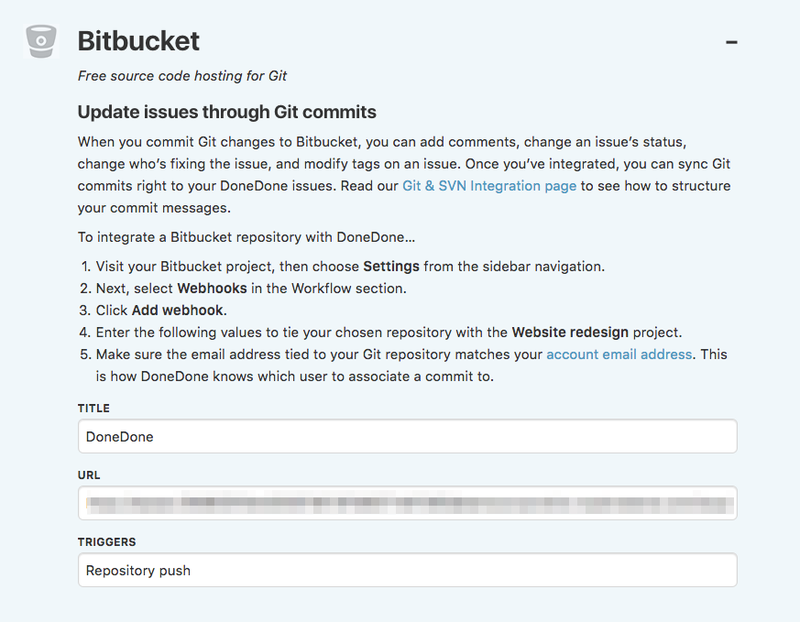 ou can update issues in DoneDone each time you make a Git commit to Bitbucket This article will explain how to get the integration set up. For full documentation, head to our Subversion & Git page. If you're a project or account admin, head to the project's dashboard, then click on the Project Settings icon and choose Integration Settings. Click on the Bitbucket section and follow the instructions provided to connect your repository to the project. When you're all set up, you can add comments, update the status, or add tags to an issue all via the commit message! For full documentation, head to our Subversion & Git page.